In a few months, India will face its next general elections. As a democracy, the country is still maturing. Like most of the previous elections, caste and religious identity would play a major part in this election too. Political parties that had put contentious and divisive issues on the back burner will bring them to the forefront for the sake of votes. Indian politicians are notorious to play caste and communal cards and even engineer riots to polarise people to ensure victory. Each political party chooses the candidate after weighing the demographic equations. Merit, honesty and integrity often have minor roles in candidature. People are ready to vote for murderers, rapists, rioters and rabble-rousers, provided the candidate belongs to one’s caste. We can dismiss such low tricks of politicians with a shrug of cynicism. However, it would be prudent to analyse our political spectrum to find out why we reached this stage of anarchy. On one end, we have the Hindu right political parties. Though there would be leaders in this block having differing ideas, the general perception they have created over the years is that of exaggerated nationalism, xenophobia, a sense of suffering from some real and imaginary historical wounds, a projected sense of superiority, a hidden inferiority complex that manifests as ludicrous claims of ancient scientific knowledge and a jealous dismissal of anything modern. They invoke immense pride for armed forces as the last resort defence tactics when cornered in any arguments. They also strive to bring unity among Hindus through tokenism and invoking fear of other communities. They support capitalism though some may accuse them of supporting crony capitalism. The extremists in this group specialise in rabble-rousing, name-calling and in worst cases, lynching and rioting. A parallel of the same can be found in Muslims. The moderates among the Muslim political right refuse to reform, have a persecution complex, wish for converting everyone to Islam, believe that women’s freedom should be restricted to what is allowed by Sharia, shun modernity and believe all scientific inventions are said in their holy book. The extremists in this group manifest as rabble-rousers, rioters, terrorists and share most of the traits with the Hindu right. One can find similar groups among Sikhs and Christians. These form the religious right wing of Indian politics. On the other extreme is the fast-shrinking group of left. Communism is a religion that shares many things with Abrahamic religions. The belief in the paradise of the proletariat, the urge to identify others as class enemies and extreme intolerance to differing thoughts are their trademarks. Like the religious right, they believe in violence. Their real face manifested in places where this religion grabbed complete power as in earlier socialist block where they rivalled Nazis in persecuting the minorities and people named as class enemies. This ideology helped in planning most of the labour laws and ended exploitation in societies where they were politically relevant but never in power. It also gave rise to social democracy, which made many western societies more humane through welfare governments. The extremists in this group manifest as Naxals who are fighting a war of terror in many states and are using tribal population as a cover and excuse for their exhortations. One trait of this group is ridiculing anything Indian and accusing even cultural achievements as hegemonistic Brahminical conspiracy. There is the clueless group in the middle which was once in the forefront of freedom struggle but has deviated beyond recognition from what it stood for once. The lackadaisical leadership of this group has no idea what it stands for. They swing from appeasement of one community to another, play caste and religious card wherever necessary, promote sycophancy, dynastic politics and opportunism. They were vociferously socialistic for three decades before turning to loud capitalists. Now they play the champions of capitalism when in power and teary-eyed socialists when out of it. There are many regional and caste parties that can be placed at any part of the spectrum. They stoke the insecurities that have partial truth in them. They invoke language, caste or regional pride to grab votes. They are dynastic and are often corrupt. What is missing in this spectrum is a Hindu liberal party. A party that is rooted in Indian culture and ethos, yet has the honesty to accept the flaws of its culture, is ready to reform continuously. 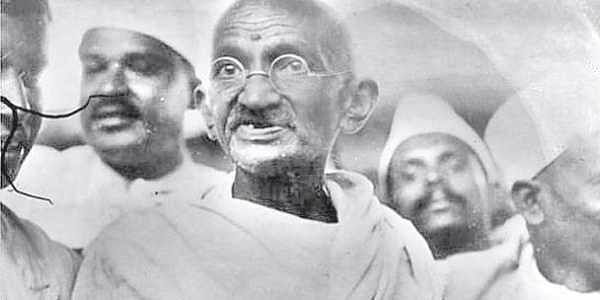 Mahatma Gandhi’s Congress appealed to the majority of Indians cutting across caste and religion because it was the quintessential Hindu Liberal Party. Despite tall claims and desperate attempts to rewrite history, neither the left, the right, Ambedkar’s Dalit movement nor the Muslim League appealed to the masses when Gandhiji led the Hindu Liberal Congress. Gandhiji held many regressive ideas, yet his party did not deny space for all the spectrum of thoughts within it. Gandhiji’s Congress was in the forefront of social reforms, women’s liberation and labour reforms while being supported by capitalists like Birla. It could evoke so much pride in Indian civilisation without hating the British, and invigorated a whole nation to fight for freedom, proving patriotism needs no vilification of others. History proves that all successful rulers, be it Ashoka, Akbar, Krishnadevaraya or Chhatrapati Shivaji, followed liberal Hindu approach irrespective of their religious beliefs. Any political party that could fill this gap in the political spectrum will be rewarded with a long haul in power. Those who think invoking religious passion to gain power should remember that Aurangzeb’s bigotry ended a great empire. It's time for Indians to emerge as Majority Population.